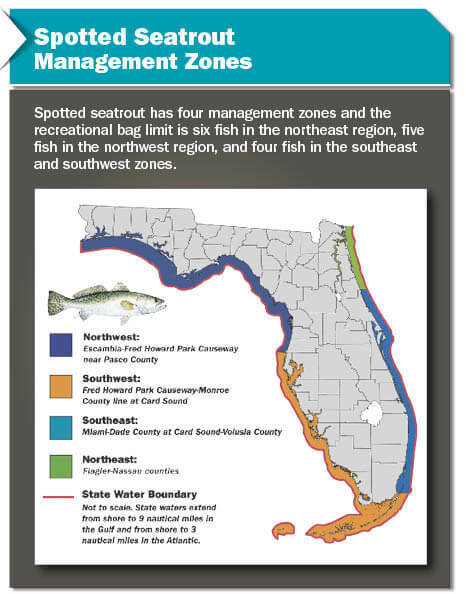 For most species, Florida’s recreational bag limits apply to all state waters off Florida, which extend out to 3 nautical miles on the Atlantic and out to 9 nautical miles on the Gulf. 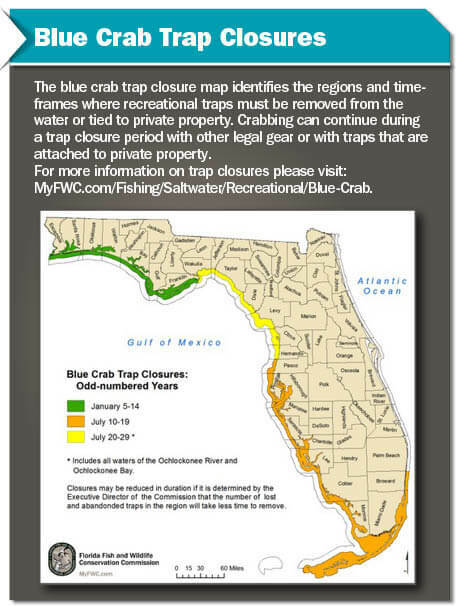 The following maps provide information regarding three species that have specific management zones where bag limits or rules vary by region. Great barracuda (map not included) also has a new bag limit of two fish per person and six per vessel that applies within all state and federal waters off Collier, Monroe, Miami-Dade, Broward, Palm Beach and Martin counties. Barracuda is not specifically regulated in other areas. 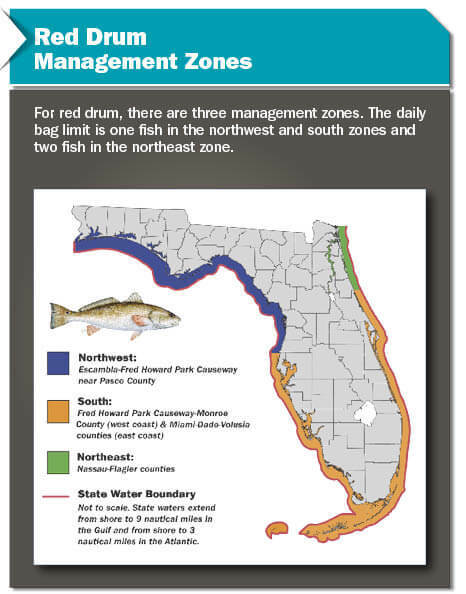 See the link below for management zones on gag grouper, hogfish, snook, permit, and weakfish.